Dead Accounts (Paperback) | The Drama Book Shop, Inc.
Jack's unexpected return throws his family into a frenzy, and his sister Lorna needs answers. Is he coming home or running away? Where is his wife everyone hates? And how did he get all that money? 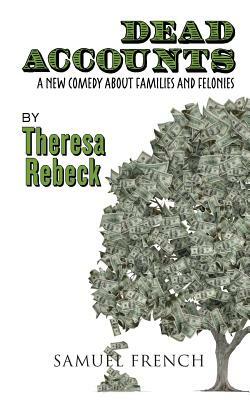 Theresa Rebeck's new comedy tackles the timely issues of corporate greed, small town values, and whether or not your family will always welcome you back... with no questions asked.